The match of Aquarius and Sagittarius is generally a smooth one with lots to share in common. Both of them value freedom, growth and independence in love relationship. 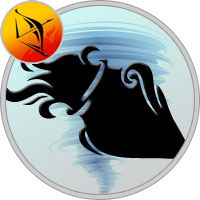 Sagittarius’s approach to love, however, may be a little more impulsive and emotional than Aquarius who is calmer partner in the relationship. This love match between a Sagittarius man and an Aquarius woman will always reside in eternal happiness. They have a perfect understanding with each other. They want motley in life and will be able to fulfil each other’s wishes. She will inspire him intellectually and he will also help her in nurturing her creativity. They will love each other till death. They both love variety in life. The conversations between a Sagittarius Man and an Aquarius Woman will be intellectual. The levels of the sexual connection of Sagittarius man and Aquarius woman greatly vary from a heightened arousal of a kiss filled with love to an intimacy full of energy to merely something that is just in their minds. Each level they are on from day to day is quite unpredictable yet as they both look forward to the next day they both wonder if it is like a roaring fire burning out of control or a gentle rainfall deep in a forest. Regardless, the love making of Sagittarius man and Aquarius woman never grows tiresome. There is something about Aquarius female that just gets her Sagittarius male. Although they are not possessive of each other, they are quite jealous. This meaning they don’t mind the social aspects of their lives and the sharing of their ideas, whether it be sexual or not. They expect each other to keep the physical aspects of their relationship just for each other and no one else. Since both of them feel this way it is not be an issue whatsoever. They enjoy sharing their intellectual ideas with each other as their connection strengthens. They both respond instantaneously to each other and their affection and passion is constantly soaring with each night they pass in each other’s arms.